I have a new Fall project that I started yesterday. It's Little House Needleworks "Two White Houses." I'm loving it so far! It's currently 80 degrees, so it's not feeling too fall like right now. I'm hoping the cooler weather will come back soon! :) Write later! Oh my! I am loving the colors so far in the Two White Houses. And the Fall row is lovely so far! I just placed an order but I may need to start another list now! You have made so much progress on your projects! I love your new Two White Houses so far! The colors are really pretty and the fabric is one of my favorites too! Your stitching is gorgeous! Great progress! I particularly like Seasons of Change row - great colours! 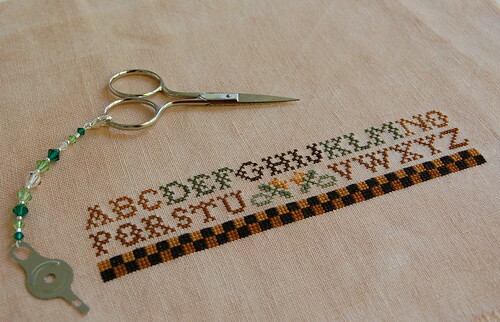 Your stitching is always so beautiful to admire! but still! and your stitching is so lovely and neat! WOW They all are coming along nicely. Beautiful, beautiful, beautiful, Nicole. Absolutely beautiful. I cna;t wait to see firsthand how it is you stitch so fast! Can you believe Myrtle Beach is right around the corner? I love the quick finishes to get you through the next bigger project, no? Love the work so far. 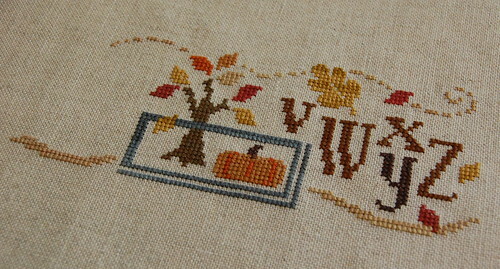 Loving your wip pics - all very Autumny colours. Thanks for dropping by my blog to catch up. I've missed seeing what you've been up to as well. Wow, beautiful work. Celtic Autumn is gorgeous. Beautiful fabby too. 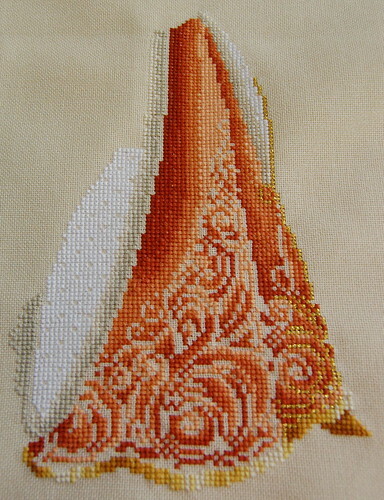 Great start on Two White Houses, and wonderful progress on the other two pieces. I love all the autumn colours in them. wow, your works are fabulous! thanks for sharing, love the colors of the two white house as well.